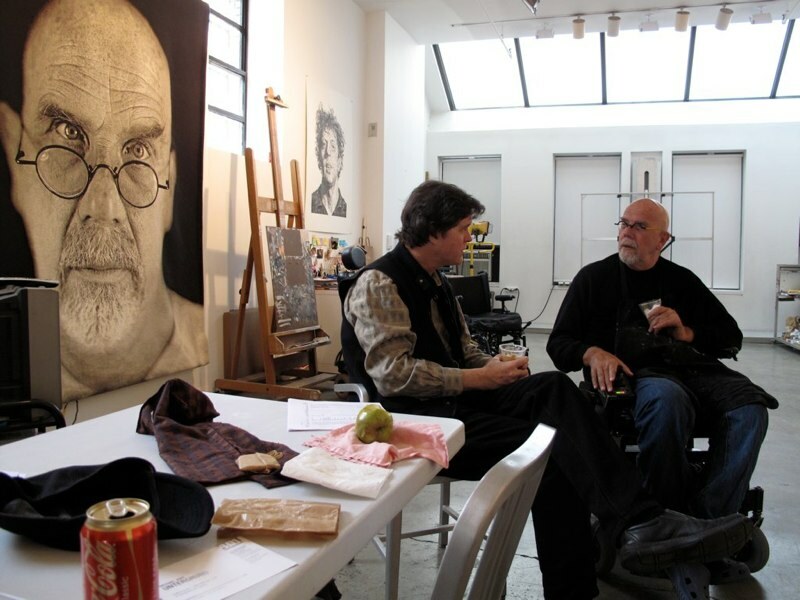 Donald Farnsworth and Chuck Close at Close's New York studio, 2011. Please join Magnolia director Donald Farnsworth this Thursday, January 28, 2016 at 6:30 pm for a special talk at the Art Museum of Sonoma County in Santa Rosa, CA on the occasion of the museum's "Magnolia Editions: Innovation and Collaboration" exhibition. 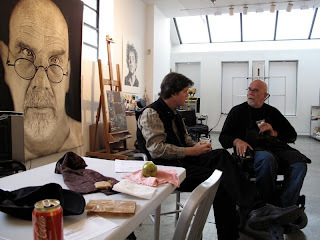 The Art Museum of Sonoma County is located at 505 B St, Santa Rosa, CA 95401 (click for directions). Please note that this museum is in Santa Rosa – not to be confused with the similarly named museum at 551 Broadway in Sonoma. 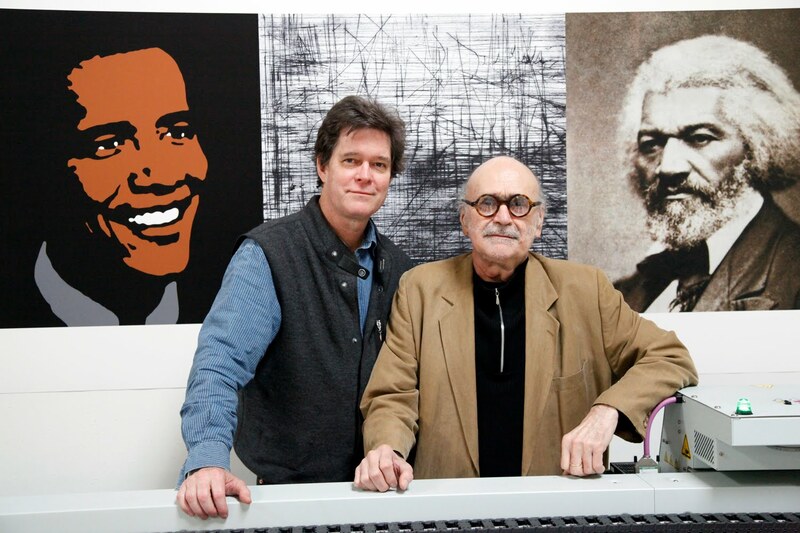 Donald Farnsworth and Rupert Garcia at Magnolia Editions with Garcia's 2010 print Obama From Douglass, on view now at the Art Museum of Sonoma County. 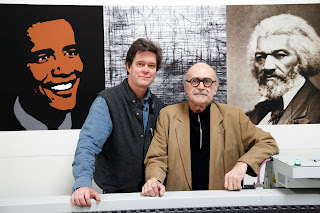 "The Magician Behind Magnolia Editions" will detail thirty years of collaboration and experimentation at Magnolia Editions and Farnsworth's work to introduce new techniques and technologies to some of the art world's biggest names. 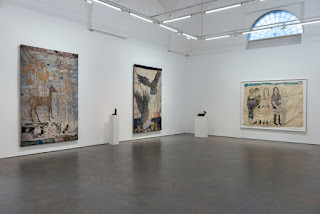 Kiki Smith and Donald Farnsworth at Magnolia Editions, 2012. Curated by Randy Rosenberg, "Magnolia Editions: Innovation and Collaboration" includes work from the last three decades by artists such as Robert Arneson, Squeak Carnwath, Don Ed Hardy, Enrique Chagoya, Chuck Close, Guy Diehl, Aziz + Cucher, Mildred Howard, William T. Wiley, Mary Hull Webster, Hung Liu, Richard Wagener, Doug Hall, Faisal Abdu'Allah, Kiki Smith, Donald and Era Farnsworth, Inez Storer and Andrew Romanoff, and more, representing a host of media ranging from etchings, collographs, and other more traditional printmaking technologies to Jacquard tapestries, UV-cured acrylic prints on handmade paper fabricated from clothing, and electronic mixed-media sculpture. 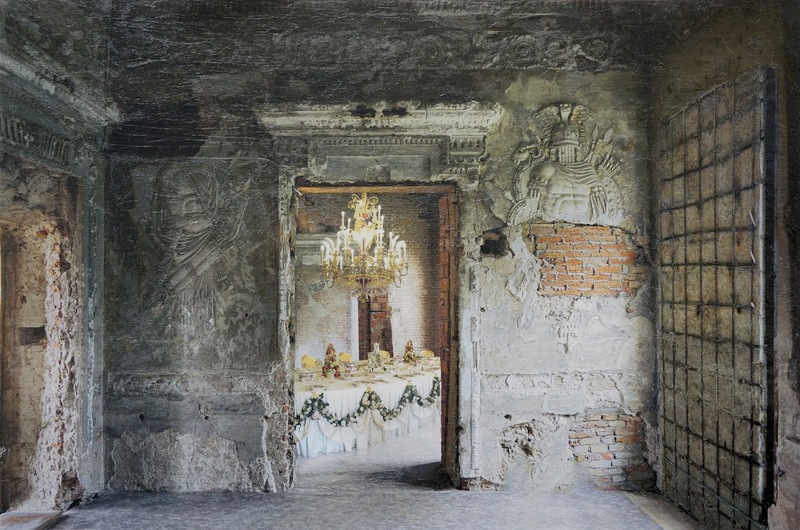 We hope you'll join us at the museum on Thursday evening! 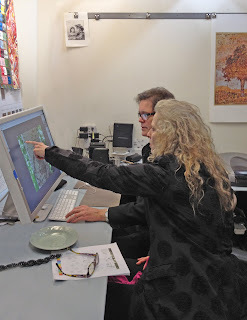 Donald Farnsworth and Deborah Oropallo at Magnolia Editions, 2011.